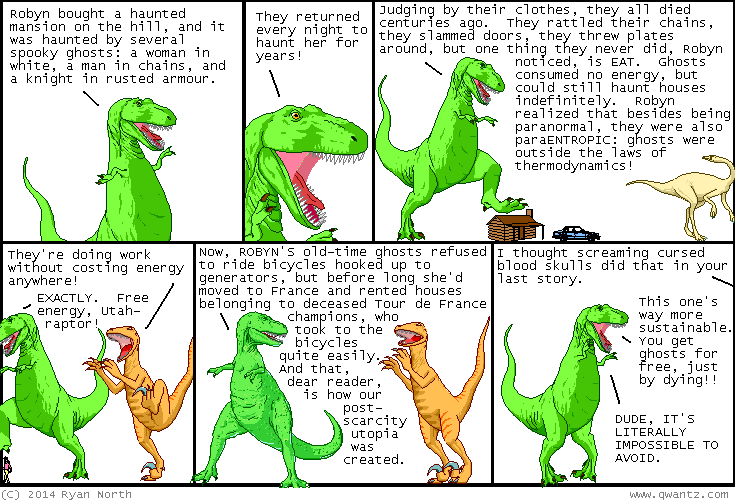 Dinosaur Comics - November 5th, 2014 - awesome fun times! –I'm probably jealous of him too! Probably! November 5th, 2014: Here is a sequel poem I wrote to thank you for reading down here! It's not QUITE as good as the other one and the "abcd" rhyming scheme has never been what I'd call super popular. I'll workshop it! One year ago today: who has the biggest muscles? sorry dude, gotta give it to the sauropods.